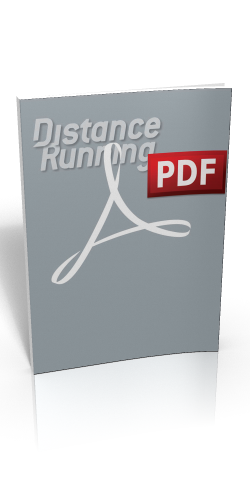 To Race Directors: For inclusion in this section, please send your articles to gary@distancerunning.co.uk. On Thursday 11 April the telephone rang. At the other end was AIMS President Paco Borao. He was to arrive in Berlin the next day to watch the basketball match ALBA Berlin in the Eurocup Semi Final against Valencia Paco was among the Valencia supporters hosted by Spanish billionaire Juan Roig who, as president of the Valencia club, paid for charter flights for 20 journalists and 1000 fans. 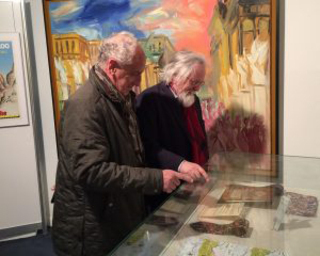 But Paco was also keen to visit the Sportmuseum Berlin – the AIMS Marathoneum – which has been financially supported by AIMS for years. 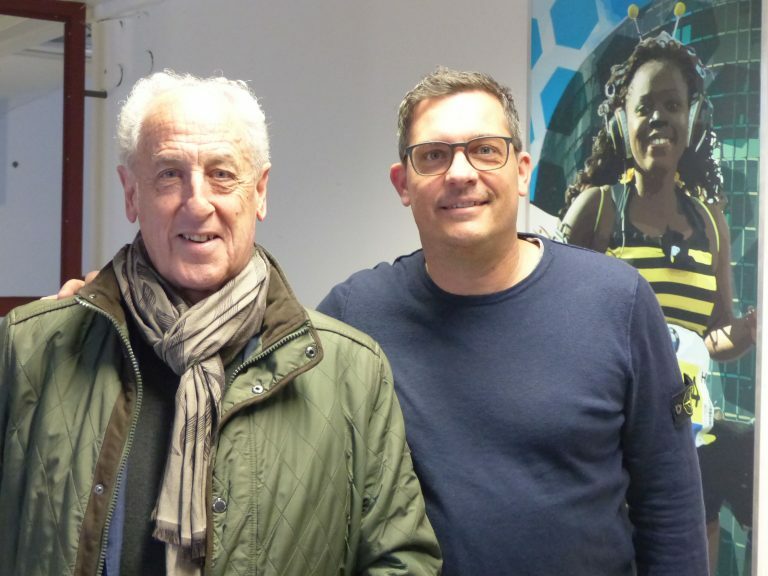 The offices of the Berlin Marathon are located in the same building so Mark Milde, Race Director of the Berlin Marathon, joined the tour for a handshake and a photo session with Paco, as well as later Jürgen Lock, Managing Director of the Berlin Marathon. 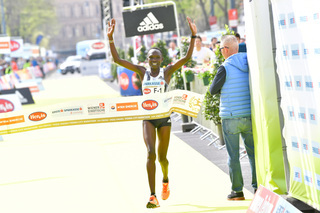 Nancy Kiprop produced the outstanding performance of the 36th Vienna City Marathon when she broke the women’s course record by over a minute and a half in running 2:22:12 and for good measure also became the first woman to win three VCM titles. Kiprop led a Kenyan clean sweep of the podium with all three women setting personal bests. Angela Tanui was runner-up in 2:25:37 and Maurine Chepkemoi third with 2:26:16. 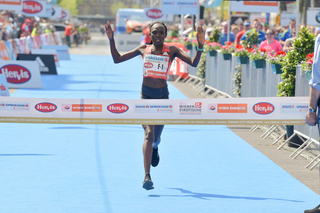 Sifan Hassan (NED) produced the highlight of the 39th edition of the Generali Berlin Half Marathon with a world-class time and a course record of 1:05:45. While Hassan was more than three minutes ahead of her nearest rival, the top three men all finished inside three seconds. Kenya’s William Wanjiku won with 1:01:00. Sifan Hassan smashed the event record of 1:07:16, which Kenya’s Edith Masai had established back in 2006. Hassan’s time of 1:05:45 is the fourth fastest in the world this year. In very good weather conditions she was on course for a world record in the first part of the race, but she then slowed and missed the global mark of 1:04:51 as well as her own European record (1:05:15). Kenya’s Veronica Nyaruai, who had surprisingly followed Hassan’s pace for the first kilometres but then dropped back, took second in 1:08:51. While Selamawit Bayoulgn of Ethiopia finished third with 1:09:02, Fabienne Amrhein was the best German runner in sixth place, running a personal best of 1:11:39. “It was great to run a personal best and it is a bonus that I achieved a time under 72 minutes,” Amrhein said. 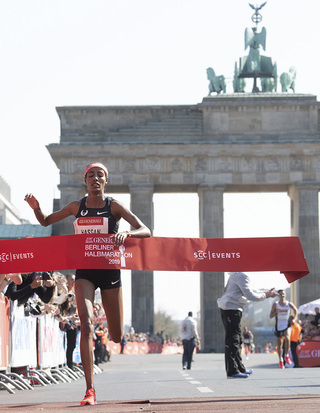 In contrast to the women’s race the men produced a thrilling sprint finish at Brandenburg Gate: Kenya’s William Wanjiku won the race with 1:01:00. Fellow Kenyans Kilimo Rhonzas (1:01:01) and Alfred Ngeno (1:01:02), who was a pacemaker, followed in second and third positions. Defending champion and course record holder Eric Kiptanui of Kenya (58:42 in 2018) had to cancel his start at short notice. And that was probably the reason why the race lacked some speed.. “We wanted to run 59 minutes. But our pace was not consistent which made it very difficult. I knew already after seven kilometres that we will not run under one hour today. This is why I concentrated on winning the race,” said William Wanjiku, who missed his personal best by just four seconds. Germany’s Richard Ringer ran a fine debut, placing seventh with 1:02:10. With this result the European 10,000m European Cup Champion from 2018 became the tenth fastest German half marathoner ever. “I wanted to run a bit quicker, but I could not go any faster. I have not quite arrived on the roads yet,” said Richard Ringer. Fellow German Amanal Petros finished ninth with 1:02:32. Debutant Silas Mwetich won the 29th HAJ Hannover Marathon while Racheal Mutgaa took the women’s race, breaking the course record. Kenya’s Mwetich ran his marathon debut in fine weather conditions and surprisingly won the race in 2:09:37. Fellow Kenyan Hosea Kipkemboi was second with 2:10:40, Ethiopia’s Debas Alebachew Wale took third place in 2:10:57. Last year’s winner Seboka Negusse of Ethiopia, one of the favourites, dropped out at the 35k mark. Switzerland’s Tadesse Abraham and Kenya’s defending champion Nancy Kiprop will face a tough challenge when they will try to achieve significant victories at the 36th edition of the Vienna City Marathon on 7th April. Abraham, who hopes to become the first European winner since 2001, is one of ten men on the start list with personal bests of sub 2:10. Meanwhile Kiprop could become the first woman to win Austria’s biggest sporting event for the third time. On her way to a possible hat-trick the Kenyan will have to beat a field that includes five other athletes who have run sub 2:28 before. 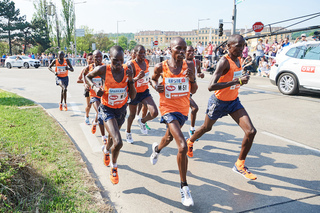 Including other running events staged parallel to the marathon organisers of the Vienna City Marathon expect more than 40,000 entries for their IAAF Gold Label Road Race event. Besides winning Kiprop has an eye on the course record as well. Italy’s late Maura Viceconte, who tragically died earlier this year, established this mark back in 2000 when she ran 2:23:47. Nancy Kiprop came close to the record in 2017 and 2018 with winning times of 2:24:20 and 2:24:18 respectively. On both occasions the weather conditions were not favorable for fast times with strong winds in 2017 and then high temperatures last year. “Defending my title and setting a course record is what I wish for and hope to achieve,” said Nancy Kiprop. The Maybank Bali Marathon (INA) will take place on Sun 8 September 2019, not Mon 9 September 2019 as previously published. 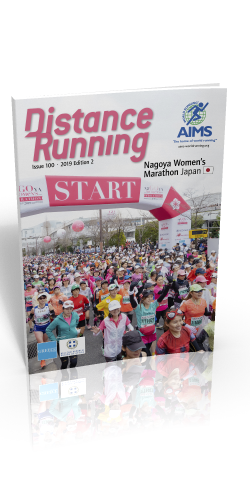 The Association of International Marathons and Distance Races (AIMS) is proud to confirm the founding members of the ‘AIMS Women’s Commission’, a world women’s running movement which was launched by AIMS Vice President Martha Morales and President Paco Borao on 8 March 2019 in Nagoya, Japan to coincide with International Women’s Day and the AIMS Member and the world’s largest marathon for women (22,000 runners), the Nagoya Women’s Marathon (Sunday 10 March 2019). 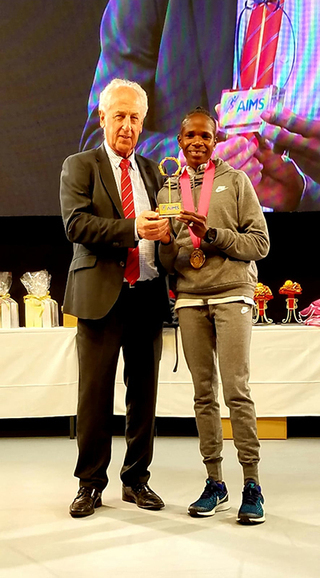 On Sunday 10 March 2019, the AIMS Women’s Commission presented Commonwealth Games Gold Medallist, Namibia’s Helalia Johannes with the first ‘AIMS Inspirational Woman Award’ after her victory in the Nagoya Women’s Marathon. The founding members of the ‘AIMS Women’s Commission’ bring decades of experience in the sport of running and in working to promote female participation and empowerment around the world. The Commission is led by AIMS Vice President Martha Morales. Martha Morales – AIMS Vice President, a position she was elected to in 2010 at the 18th World Congress of AIMS. Martha has been in charge of developing AIMS Children’s Series bringing sport and promoting health to young people in challenging circumstances around the world. Martha is a race official for the BMW Tangamanga International Marathon in Mexico. She is also an active marathon runner and lawyer. Paco Borao – AIMS President. Paco was elected President at the 18th World Congress of AIMS. Paco Borao is President of Correcaminos de Valencia, which organises the Marathon and Half Marathon in Valencia. A race, under Paco’s guidance, that has created history by staging several world record performances. Under Paco’s leadership, AIMS has seen substantial membership growth and is now the largest and most diverse marathon and distance race organisation in the world covering 460 races in 115 counties and territories. Dagmawit Amare – Strategic & Innovations Manager, Great Ethiopian Run. Dagmawit has worked with the Great Ethiopian Run for 15 years, staging more than 130 mass participation races throughout Ethiopia including the ‘Women First 5k’, one of the largest women-only races in the world with 13,000 participants in 2019. Damatwit has pioneered utilising women’s running to raise important social matters for women in Africa. Inna Chernoblavskaya – Head of International Department, Moscow Marathon. Inna has engaged with government agencies, the Russian Olympic Committee, the Russian Athletic Federation and national anti-doping agency RUSADA to develop athletics in Russia. She has managed the reception of the Marathon Flame in Omsk in 2010 and the AIMS Board meeting in Moscow during the 2013 World Championships in Athletics. Stacey Conley – Athlete, Advocate, Past-President, Conley Sports Productions. As President of Conley Sports Productions, she was the Assistant Race Director of the Austin Marathon & Half Marathon (USA) for nearly 20 years. Stacey’s work as an advocate for women’s participation in the Austin Marathon and related events has seen an increase of 55% in women’s participation. Renna Nelis – AIMS PR Manager for Estonia & General Manager & Competitions Organiser, Tallinn Marathon. Renna has worked with the Tallinn Marathon since 2000. Renna has worked with a women-only event in Tallinn which attracts 15,000 runners – more than 2% of the national female population. Renna is recognised and highly regarded as a pioneer for women’s athletics in Northern Europe. Tetsuya ‘Teddy’ Okamura – AIMS Board Member. Teddy was elected to the AIMS Board at the 22nd World Congress of AIMS in 2018. Teddy is Race Director of the Nagoya Women’s Marathon in Japan, the largest women’s marathon in the world. He is Sporting Event Producer with Chunichi Shimbun Co., Ltd one of the world’s most prominent media companies. Teddy lectures in Sociology, Mass Communication, Environmental Studies and Tourism. Teddy is also AIMS Continental PR Manager for Asia. Alessandra Ramella Pairin – AIMS Continental PR Manager for Europe. Alessandra brings years of experience in working in communication and global sports. As well as athletics where she is a prominent and highly respected person, she has worked in Alpine Ski World Championships and World Cups, Winter Olympics (Turin, 2006). In Athletics, she has worked in the organization of some of the most important running events in Italy both in private clubs (Turin Marathon 2001-2015) and with the Italian Athletics Federation. Alessandra also pioneered event media coverage utilising drone technology in Italian sport. Maria Polyzou – Legendary athlete, author and speaker. Maria was the first female Greek runner to compete in an Olympic Marathon, in Atlanta (1996). She was the Greek champion for 20 consecutive years and remains to date the Greek record holder with a time of 2:33.40. In 2010, to celebrate 2,500 years since the Battle of Marathon, Maria became the first woman in history to complete the ‘Pheidippides Feat’ by running the 520km from Athens to Sparta and back to Marathon over six days. She is the author of the “Spirit and Body: The Timeline of a Feat of 524 km” and has delivered dozens of lectures on the values of sport and of the Marathon. Václav Skřivánek – AIMS Board Member. Václav is the Race Director of RunCzech Running League events (7 IAAF Road Race Gold Labels) including the Volkswagen Prague Marathon in Czechia. Václav is highly qualified in academic and practical spheres of information science. Shirley Yang – AIMS PR Manager for China. Shirley has taken on the role of developing social activities for the Chinese Athletic Association (CAA). She was responsible for organising and marketing of the Marathon movement in China which has seen phenomenal growth: In 2011 there were 22 Marathon races in China. This reached 328 in 2016, 1,102 in 2017 (an increase of over 335% year on year), and 1,581 in 2018, 70 times the amount in 2011. 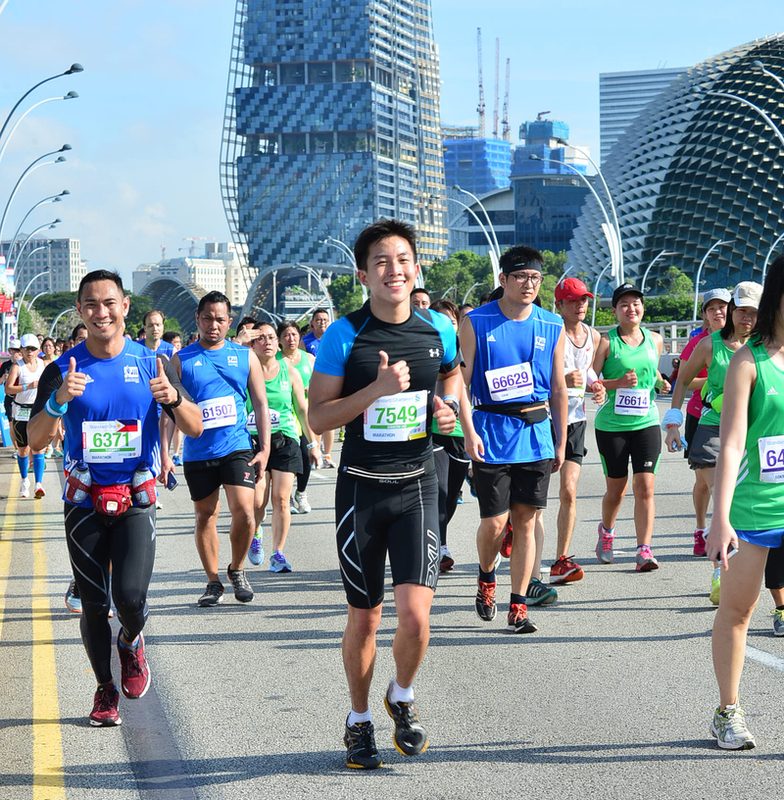 Over 5.8 million runners competed in these events in 2018. Shirley is also the member of Beijing Marathon organising committee (11 years holding an IAAF Road Race Gold Label), which has the longest history of the marathon in China. The Okpekpe International 10km Road Race (NGR) will take place on Sat 25 May 2019, not Sat 18 May 2019 as previously published. 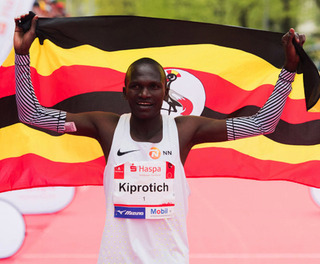 Olympic Champions Stephen Kiprotich and Ezekiel Kemboi as well as Jessica Augusto are the star names among a group of elite runners added to the Haspa Marathon Hamburg. World half marathon record holder Joyciline Jepkosgei and former double world marathon champion Abel Kirui had been announced earlier. 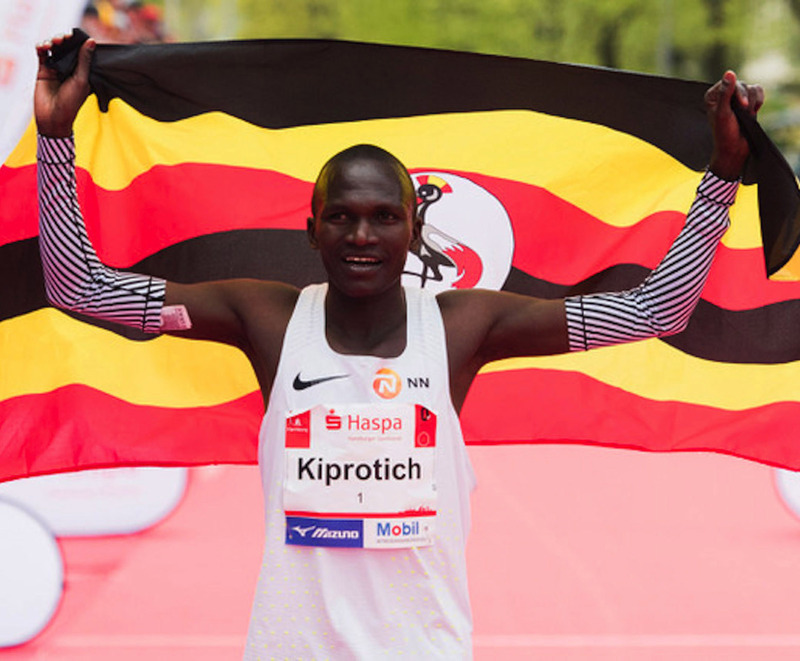 The 2012 Olympic marathon champion Stephen Kiprotich will return once again to the Haspa Marathon Hamburg. Uganda’s gold medallist from London, who took the world championships’ marathon in 2013 as well, was second here in 2017 and fifth last year. On both occasions the 29 year-old, who is Uganda’s national record holder with 2:06:33, ran 2:07 times. It will be the first time that an Olympic marathon champion will compete for the third time in a row in an elite race of a German marathon. “We are more than happy to welcome Stephen back to our race. His return also shows the international position of the Haspa Marathon Hamburg as one of the major spring marathons,” said chief organiser Frank Thaleiser. While Joyciline Jepkosgei will run her debut the men’s race will also feature a very prominent debutant who is an Olympic champion as well: Ezekiel Kemboi has chosen the Haspa Marathon Hamburg for his first race at the classic distance. The 36 year-old Kenyan won two Olympic titles (2004 and 2012) and four World Championship gold medals in a row (2009 to 2015) in the steeplechase. Kemboi’s debut is long awaited one. With a modest personal best of 64:15, which he ran in a race in Kenya, he did not establish himself as a leading half marathon runner. However he ran only very few races at the distance. It will be interesting to see what sort of impact Ezekiel Kemboi can have in the marathon. The fastest runner on the start list is Ayele Abshero, who is returning to the race. Back in 2012 the Ethiopian clocked his personal best of 2:04:23 when he won his marathon debut in Dubai. While he did not come close to this sort of time Abshero did very well at the Haspa Marathon Hamburg: He was third here last year with a fine 2:07:19. Abel Kirui, who was World Marathon Champion in 2009 and 2011, is the number two on the start list with a personal best of 2:05:04. The Kenyan said that he intends to attack Hamburg’s course record of 2:05:30, set by Eliud Kipchoge in his marathon debut in 2013. Fellow-Kenyans Jonathan Korir and Amos Mitei, who have personal bests of 2:06:51 and 2:07:28 respectively, are expected to join the hunt. There will also be a Japanese elite runner in the field: Taku Fujimoto clocked his personal best of 2:07:57 in last year’s Chicago Marathon. 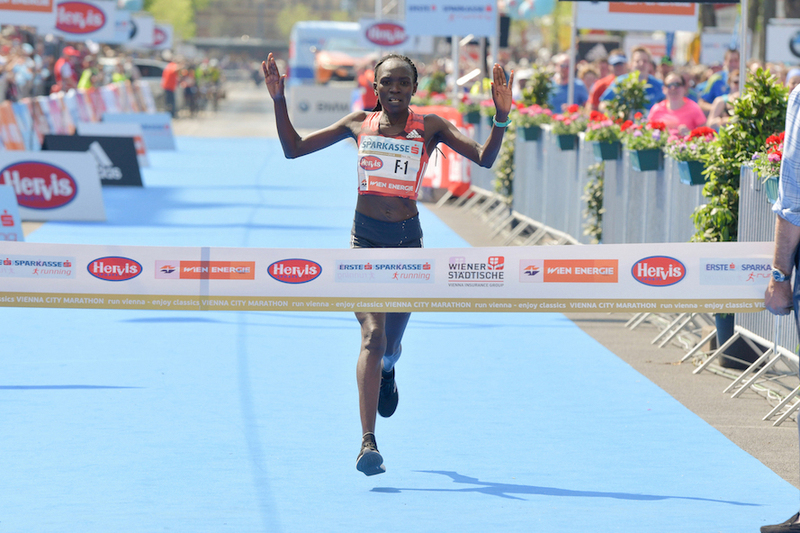 The 34th edition of the Haspa Marathon Hamburg sees the return of a former champion in the women’s race: Jessica Augusto won here two years ago with 2:25:30, a time that remained the fastest by a European throughout 2017. 37 year-old Augusto holds a personal best of 2:24:25. While the debut of Kenya’s world half marathon record holder Joyciline Jepkosgei (64:51) will be very much in the focus in Hamburg there are three women who have run faster than Jessica Augusto: Madai Perez of Mexico (PB: 2:22:59), Japan’s Tomomi Tanaka (2:23:19) and Dibabe Kuma of Ethiopia (2:23:34). “Our strategy to give a platform to young and upcoming athletes as well as established and charismatic runners has been very successful. The Haspa Marathon Hamburg has built a very good reputation. To present runners like Stephen Kiprotich, Ezekiel Kemboi and Jessica Augusto is helpful with regard to promotion but also an added bonus for our spectators on race day,” said Frank Thaleiser. The Association of International Marathons and Distance Races (AIMS) recognised Helalia Johannes (Namibia), the winner of the Nagoya Women’s Marathon, with its first “Inspirational Woman Award” after her victory on Sunday. Johannes ran a time of 2:22:25 to win the race. Nagoya Women’s Marathon is the world’s largest women’s marathon, recognised by Guinness World Records, with 20,000 women. 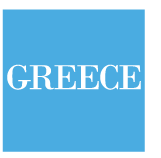 The trophy, a laurel wreath from the home of the marathon – Athens, Greece –, was presented by AIMS President Paco Borao. 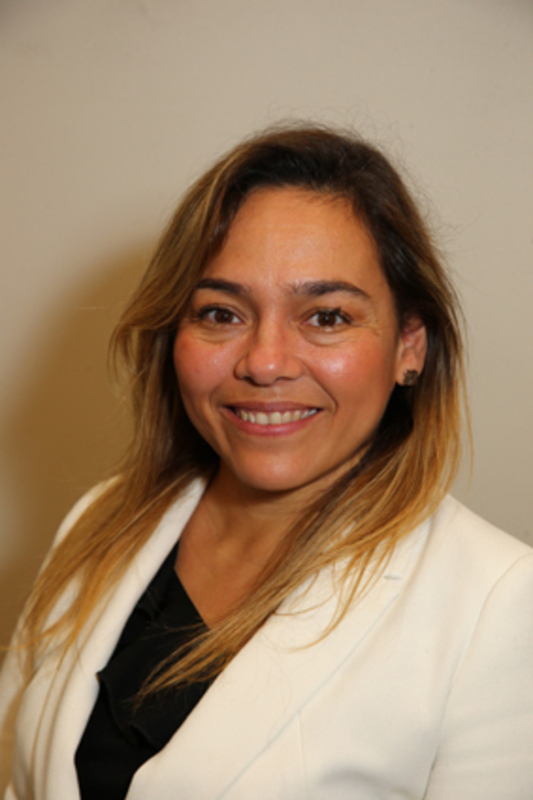 The AIMS Women’s Commission was launched by AIMS Vice President Martha Morales and President Paco Borao on Friday 8th March 2019, to coincide with International Women’s Day. The AIMS Women’s Commission has been in development since the AIMS World Congress held in Tallinn, Estonia in September 2018, where the creation of three Commissions was announced covering the following areas – Women, Safety & Security and Environmental. The Association of International Marathons and Distance Races (AIMS) is delighted to announce the creation of the ‘AIMS Women’s Commission’, a world women’s running movement aiming to improve the participation of women in distance running throughout the world while empowering women through the sport of running. The Commission was launched by AIMS Vice President Martha Morales and President Paco Borao today, Friday 8 March, to coincide with International Women’s Day and the AIMS Member Nagoya Women’s Marathon (Sunday 10th March 2019), the largest women’s marathon in the world. The Commission will be led by AIMS Vice President Martha Morales. AIMS Commissions in the areas of ‘Safety & Security’ and ‘Sustainability’ will be launched in the coming weeks. Germany’s Arne Gabius and Anja Scherl hope to challenge the favourites from Kenya and Ethiopia at the HAJ Hannover Marathon on 7 April. The race has developed into one of Germany’s leading international marathons and is an IAAF Silver Label Road Race. Including other events staged parallel to the marathon organisers expect a total entry figure of more than 25,000 runners. 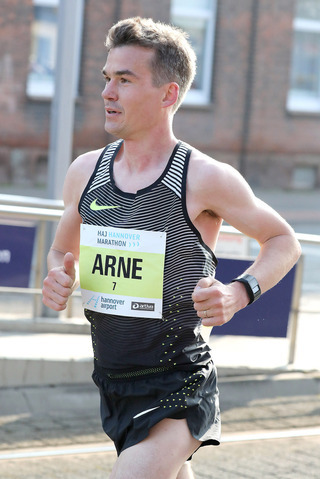 National marathon record holder Arne Gabius will hope to finish on the podium of a marathon for the first time in his career. The 37 year-old came very close in Frankfurt in 2015, when he finished fourth, breaking the 27 year-old German record with a time of 2:08:33. Hannover’s six year-old course record from Lusapho April of South Africa is just one second faster than Gabius’ personal best. “Hannover is one of three spring marathon races where I have to put things right,” said Arne Gabius, who dropped out of the HAJ Hannover Marathon close to the 33k mark two years ago due to an achilles tendon problem. Arne Gabius is the second fastest on the current start list behind Duncan Koech. The Kenyan was third in Hannover last year with 2:10:19 and holds a personal record of 2:07:53 from Cologne in 2012. 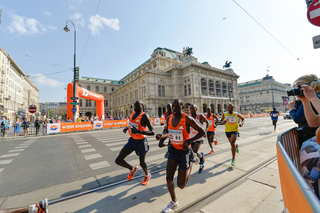 The 37 year-old was fourth in the Vienna City Marathon in 2013 with 2:09:17. Samwel Maswai is another Kenyan who features a PB of sub 2:09. While he ran 2:08:52 in the 2013 Berlin Marathon where he finished fifth he was third in Vienna last year with 2:11:08 in very warm weather conditions. Four more runners who feature personal bests of sub 2:10 are on the current start list for the 29th edition of the HAJ Hannover Marathon: Kenyans Edwin Kimaiyo (2:09:12), Paul Kangogo (2:09:20) and Josphat Leting (2:09:34) as well as Ethiopia’s Alebachew Wale (2:09:40). In the women’s race Anja Scherl hopes to bounce back after a year to forget in 2018. Back in 2016 she ran the best race of her career, when she finished third in the Hamburg Marathon and improved her PB by a staggering margin of more than eight minutes to 2:27:50. Scherl then was the best German runner in the Olympic Games marathon with a 44th place. She ran two good marathons in quick succession in 2017 and 2018: In November 2017 Scherl was fifth in Valencia with 2:28:54, the second fastest in her career. Little more than two months later she took fourth in Osaka in 2:29:29. However injuries then stopped her and she could not compete at the European Championships in Berlin. There are two athletes who have run faster than 32 year-old Anja Scherl. Karolina Nadolska is the fastest on the start list. The Polish runner holds a personal best of 2:26:32 with which she was second in Osaka in 2014. Ethiopia’s Tigist Memuye Gebeyahu has competed in China a number of times. Her biggest career win came when she took the Zhengzhou Marathon two years ago, improving her personal best by more than nine minutes to 2:27:39. Kenya’s Racheal Mutgaa will be among the favourites on 7 April as well. She ran 2:28:39 in last year’s Hefei Marathon (China), breaking 2:30 for the first time and placing second. Defending champion Nancy Kiprop returns to the Vienna City Marathon on 7 April, targeting a hat-trick at Austria’s biggest and most spectacular road running event. The Kenyan could become the first woman in the history of the traditional event to achieve three victories. One of her main challengers will be Ethiopia’s Rahma Tusa, the 2018 winner of the Rome Marathon. Adding other running events a total of more than 40,000 athletes is expected for the 36th Vienna City Marathon, which is an IAAF Gold Label Road Race. 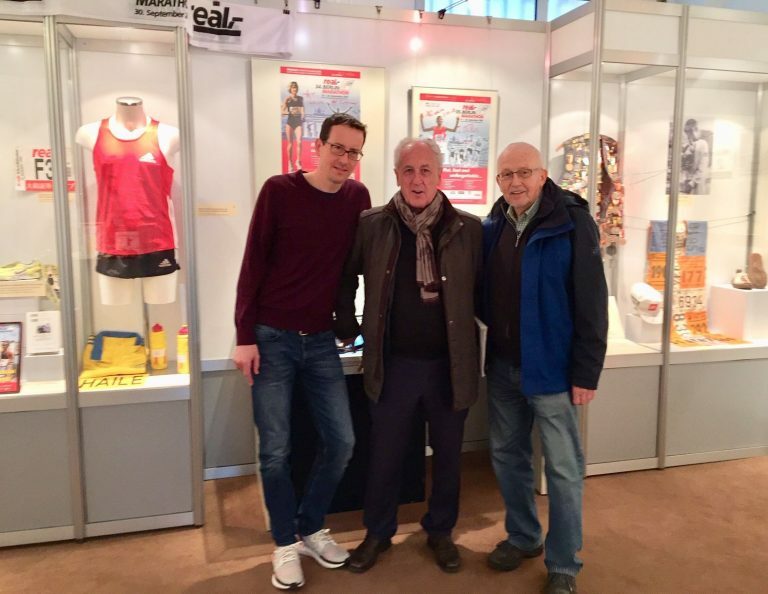 More than 30 years ago, when African elite marathon runners played no significant role yet, there was an Austrian who managed to achieve a hat-trick in Vienna: Gerhard Hartmann took the race three times in a row, from 1985 to 1987. More recently Kenya’s Henry Sugut became a three-time champion with victories in 2010, 2012 and 2013. While no woman has achieved this feat Nancy Kiprop is in a position to do so when she returns to the Vienna City Marathon. Two years ago she won in Vienna with a personal best of 2:24:20 after a very close finish. Kiprop was just five seconds ahead of fellow-Kenyan Rebecca Chesire. A year later she had a huge advantage of more than five minutes, when she clocked a PB of 2:24:18 despite very warm weather conditions. In the meantime 39 year-old Kiprop improved this time to 2:22:46 in Frankfurt last October. “For me it is an easy decision to return to Vienna, as the race is well organised, people are welcoming and I feel appreciated and respected. I am truly humbled by each experience in Vienna,” said Nancy Kiprop, who has seven children and founded a school in her home village Chesitek near to Iten. Nancy Kiprop’s strongest rival may well be Rahma Tusa. The 25 year-old Ethiopian has already achieved a hat-trick when she won the Rome Marathon for the third time in a row in 2018. Last year she improved her personal best to 2:23:46 in the Italian capital. Tusa also showed a fine performance in the New York City Marathon last November, finishing fifth with 2:27:13. Besides Nancy Kiprop there is another former Vienna City Marathon Champion returning to the race: Switzerland’s national record holder Maja Neuenschwander hopes for a successful return to the marathon after a stress fracture ruined her season last year. The 39 year-old was a surprise winner of the Vienna City Marathon in 2015 with 2:30:09 and then clocked the Swiss record of 2:26:49 in Berlin later that year. In Rio’s Olympic Marathon in 2016 she achieved a fine 29th place. However since then Maja Neuenschwander did not finish a marathon. The Angkor Wat International Half Marathon (CAM) will take place on Sun 8 December 2019, not Sun 1 December 2019 as previously published. The Raiffeisen Bank Bucharest Marathon (ROU) will take place on Sun 13 October 2019, not Mon 14 October 2019 as previously published. 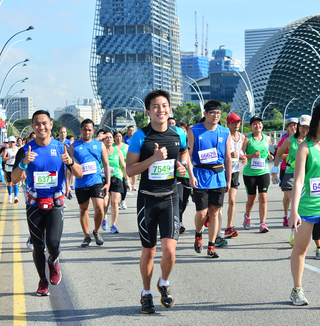 The Standard Chartered Singapore Marathon (SIN) will take place on Sat 30 November 2019, not Sun 1 December 2019 as previously published. Next year’s event will take place on Sat 5 December 2020, not Sun 6 December 2020 as previously published. The EDP Rock ’n’ Roll Madrid Maratón & 1/2 (ESP) will take place on Sat 27 April 2019, not Sun 28 April 2019 as previously published. The 3-Sjøersløpet (NOR) will take place on Sat 9 November 2019, not Sat 2 November 2019 as previously published. Swiss record holder Tadesse Abraham will run his next marathon in Austria. Organisers of the Vienna City Marathon confirmed the start of the 36 year-old who holds a personal best of 2:06:40 and was runner-up in the European Championships’ marathon in Berlin last summer. Returning to Vienna will be the winner of the race from 2016, Robert Chemosin. Kenneth Keter is another Kenyan who can challenge Tadesse Abraham in the Austrian capital. For Tadesse Abraham it is about bouncing back in Vienna. He competed at the Dubai Marathon in January, but did not reach the level he had hoped and trained for. Instead of breaking his personal best he had to be content with a 2:09:50 performance and tenth place in the United Arab Emirates. Since Tadesse Abraham is the fastest runner on the current start list he will run in Vienna with a different goal: “My main aim will be to win the Vienna City Marathon. However I want to run a good time as well,” said Tadesse Abraham, who could become the first European male winner of the race for 18 years. Back in 2001 Luis Novo of Portugal took the race with 2:10:28. Since then there were only African winners in Vienna. “It is too early to speak about possible time goals, but I want to run faster than in Dubai,” said Tadesse Abraham, who travels to his training camp in Addis Ababa this Wednesday. Apart from a 15k test race in Switzerland in mid March he will stay in Ethiopia until a few days before the Vienna City Marathon. Originally from Eritrea, Tadesse Abraham received Swiss citizenship in June 2014. Since then he has been among the very best European marathon runners. With a seventh place in the Olympic race in 2016 Abraham was the strongest European in Rio. Qualifying for the Games in Tokyo next year is a major goal for the European half marathon champion from 2016. A faster time than Abraham’s Dubai result will most certainly be needed to be in contention for victory in Vienna on 7 April. A runner who has the advantage of knowing the course and how to win in the Austrian capital is Robert Chemosin. In very windy conditions the Kenyan took the race in 2016 with 2:09:48. “This is the beginning of a new life for me,” Chemosin said after his triumph in Vienna. A year earlier he had shown that he can run considerably faster when he was runner-up in Warsaw in 2:08:05. The 30 year-old also holds a very good half marathon personal best of 59:19. Another strong contender is 22 year-old Kenneth Keter. The youngster from Kenya ran a fine debut marathon in Frankfurt last October despite windy conditions, taking fifth place with 2:07:34. He will be eager to improve his time when he runs his second marathon in Vienna. The 1/2 Maraton de Bucaramanga – FCV (COL) will take place on Sun 20 October 2019, not Mon 28 October 2019 as previously published. The Wizz Air Skopje Marathon (MKD) will take place on Sat 4 May 2019, not Sun 5 May 2019 as previously published. The Minsk Half Marathon (BLR) will take place on Sun 15 September 2019, not Sun 8 September 2019 as previously published. The Maraton Varmex (MEX) will take place on Sun 20 October 2019, not Sun 14 July 2019 as previously published. Next year’s event will take place on Sun 18 October 2020, not Sun 12 July 2020 as previously published. World half marathon record holder Joyciline Jepkosgei will run her debut at the full distance in Hamburg on 28 April this year. The marathon debut of the 25 year-old Kenyan is one eagerly awaited in international road running. The organisers of the Haspa Marathon Hamburg also confirmed that Abel Kirui will compete in the men’s race. The Kenyan has won two World Championship gold medals and an Olympic silver. He intends to attack Eliud Kipchoge’s course record on 28 April. “We are extremely proud to welcome these two outstanding athletes among many other promising elite runners to our race. It will be fascinating to see what immediate impact Joyciline Jepkoskei can have in the marathon. In contrast Abel Kirui has so much experience. We hope that he can use this well and produce something special on our fast course,” said chief organiser Frank Thaleiser. Joyciline Jepkosgei achieved a sensational breakthrough in 2017, when she broke a total of six world records. Four of those came in one race: the Kenyan won the half marathon in Prague in 64:52, passing 10k in 30:05, 15k in 45:37 and 20k in 61:25. Later in the year she improved her 10k global record to 29:43 and then established the current world half marathon record of 64:51 in Valencia. When Joyciline Jepkosgei now turns to the marathon there is a parallel to the greatest runner of the distance ever, Eliud Kipchoge. The Kenyan Olympic Champion and world record holder also ran his debut in Hamburg. Back in 2013 Kipchoge won the race with a course record of 2:05:30 that still stands today. Since the beginning of the year Joyciline Jepkosgei has started training for her marathon debut under the guidance of her new coach Gabriele Nicola. If Jepkosgei, who usually trains with male pacemakers, can build good form in the coming weeks Hamburg’s course record could be within reach. Maybe Jepkosgei can then follow in the footsteps of Kipchoge by breaking it in her debut in Hamburg. Ethiopia’s Meselech Melkamu holds this mark with a time of 2:21:54 from 2016. According to Abel Kirui the men’s elite race will definitely see an attempt to break the course record. “I am focussing on Hamburg. The race will be a big challenge for me as I want to break Eliud Kipchoge’s course record. It will not be easy as it is a 2:05 time. However I really want to do it. It will be a big show,” said the 36-year-old Kenyan, who won world marathon titles in 2009 and 2011. Kirui, who holds a personal best of 2:05:04, also took the silver medal in the Olympic marathon in 2012. A year ago he was fourth in London and then seventh in Chicago, clocking sub 2:08 times in both races. The Linker Oevert Marathon (BEL) will take place on Sun 20 October 2019, not Sun 13 October 2019 as previously published. 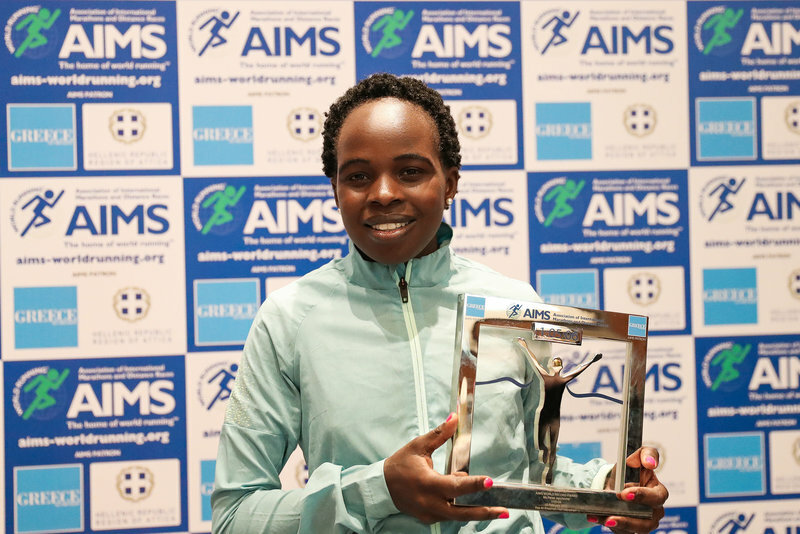 The world running organisation the Association of International Marathons and Distance Races (AIMS) is delighted to recognise the Kenyan athlete Peres Jepchirchir with the AIMS World Record Award. Peres broke the Half Marathon World Record, setting a time of 1:05:06 at the Ras al Khaimah Half Marathon on 10 February 2017. Peres has since taken time away from the sport to start a family, recently returning to competition. While the record was broken a month later by her compatriot Joyciline Jepkosgei, AIMS has a proud tradition of recognising every World Record since 1985. 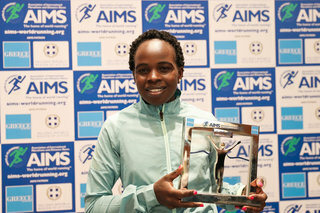 Joyciline was presented with her AIMS World Record Award in October 2018. She received the award in advance of the Airtel Delhi Half Marathon in recognition of her Half Marathon World Record of 1:04:51 set at the Medio Maraton Valencia Trinidad Alfonso EDP on 22 October 2017. Haitham Mattar, CEO of the Ras Al Khaimah Tourism Development Authority and Nathan Clayton, Race Director of the Ras al Khaimah Half Marathon presented Peres with her award as part of a pre-race media event in advance of the Ras al Khaimah Half Marathon on Friday 8 February. The time of 1:05:06 was recognised as the world record by the IAAF (International Association of Athletics Federations) and by AIMS (Association of International Marathons and Distance Races which represents over 447 distance running events in 117 countries and territories). AIMS set the world record criteria for performances on the road later adopted by the IAAF. The Marathon Vert D’Agadir (MAR) will take place on Sun 31 March 2019, not Sun 21 April 2019 as previously published. The EDP Lisbon Marathon | Vodafone Half Marathon (POR) will take place on Sun 20 October 2019, not Sun 13 October 2019 as previously published.